How would one define democracy in Bangladesh? Simple -- “It is a government by the people, for the people and of the people,” answered by a first year student from Dhaka University. How accurate is that definition? 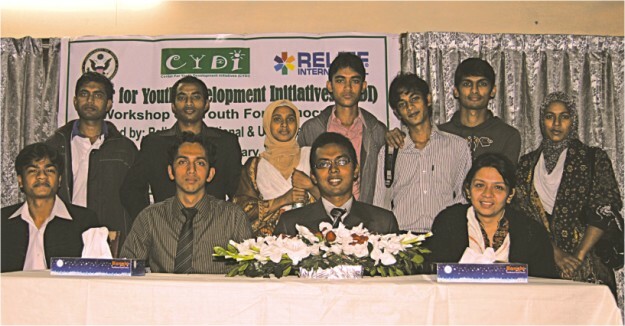 On January 23 this year, a day-long workshop titled “Youth for Democracy” organised by the Centre for Youth Development Initiatives (CYDI) was held at the Teachers and Students Centre (TSC) of University of Dhaka (DU). About 60 students from different departments of DU including Economics, International Relations, Women and Gender Studies, Peace and Conflict, Development Studies, English, Marketing and Management departments participated in the workshop. Relief International and US Department of State financed the workshop as a follow-up project of SUSI-2010 (a US state government funded intense, academic programme on South Asians) on New Media and Democracy. Md. Ansar Uddin Anas, a state alumni and participant from SUSI -2010 presided over the function while Md. Ashiqur Rab, general secretary of CYDI hosted the event. Mr. Nazrul Islam, Country Director of Relief International, Bangladesh was the chief guest at the event. Sunita Nemaphoki, a young Nepalese entrepreneur who recently got the Voice of Women Award 2010 from the Government of Nepal discussed New Media Revolution and Impact on Democracy while Sharaban Tahura Jaman, a Research Assistant of Bangladesh Environmental Lawyers Association (BELA) spoke about social responsibilities and youth engagement. Robayat Khandaker, general secretary of Bangladesh Youth Empowerment Actions (BYEA) shed light on Youth and Democracy and Sabhanaz Rashid Diya, also a state alumni and feature writer for a reputed national daily discussed Media Responsibilities in a Democratic Country. The gathering also included young activists from upcoming youth organisations in Bangladesh, namely, One Degree Initiative, Bangladesh Youth Environmental Initiative and Community Action. While sharing experiences, a colourful picture was painted to provide a platform for constructive discussions amongst brilliant leaders for tomorrow.